Boy am I pleased to see you! 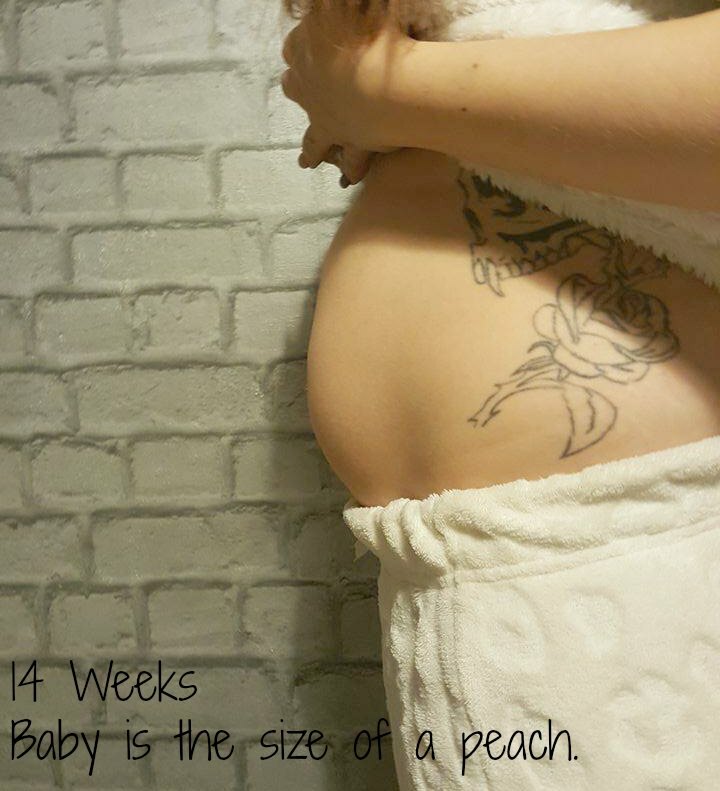 This week I finally welcomed the second trimester with open arms, I'm now 14 weeks!! I'm aware google and my bounty pack book say the second trimester starts at week 13 but my apps seem to say today is my first day of being part of the second trimester club, Being my 3rd you'd think I'd know this by now. Just as I was warned I've experienced some more bleeding but this time after a day of the room spinning and being sick every time I dared leave my bed, que the frantic worry! Why am I being sick all of a sudden? Why am I bleeding after being unwell? Sickness bug? Is something wrong with baby? As much as I was warned I could possibly bleed again, it didn't make it any easier to relax when it happened. I didn't bleed with Doo's until I was quite far along and could feel her move for some reassurance and went to EPU each time after ringing my midwife but everything's changed since then and you now have to be referred to see them, so this time I rang for advice and was told if I wanted to be seen I can go up and listen to Nuggets heartbeat (which I'm also eagerly waiting to hear) I could but would need my GP to refer me before heading up there. So I decided to wait it out with it not being heavy and nothing like the first bleed I had and just take it easy as advised. According to my Ovia app baby is now the size of a troll doll and his/her kidneys are now producing urine and is nearly doubling in weight each week at this point. I don't own scales and won't know of any weight changes until my upcoming antenatal appointment. Other than a more obvious and permanent round tum, some back ache my pregnancy is still pretty much symptomless. For the past two mornings a few hours before my alarms due to go off I've been unsettled for various reasons (Nuggets morning feed time maybe?) other than that I'm doing okay for sleep. I've got quite the sweet tooth this time around and enjoy a good chewy sweet, everywhere you read says your having a girl but I don't remember eating many sweets with the girls. Fruit juices are a big hit too it was all coca cola with the girls and after but this time I'm really not keen and prefer juice or milkshakes. Actually feeling pregnant now, still anxious but like I can start getting excited and relax a little now. My first antenatal appt in 2 weeks and our early sexing scan in 3 weeks.